Nobody knows who will play James Bond in the 25th film in the series. Not EON Productions. Not Daniel Craig. And certainly not the media. 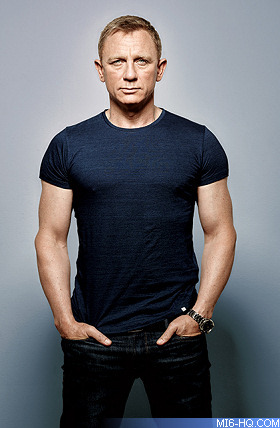 When news broke this weekend that Daniel Craig was in talks to play the lead in a new limited run TV drama series, the newspapers inevitably leapt to the rash conclusion that he had quit his role as 007. Whether or not the 'Purity' mini-series goes ahead, it would not rule him in or out of a fifth outing as 007. Most media outlets have now amended their stories to state that such a decision has not been reached, as per statements from his representative. Story outlines are being worked on with the assumption that Craig will be back in the role, something that the producers are very keen to see. However, Craig, who has first refusal on the film, has made it clear that it will have to be the right story. 'SPECTRE' neatly closed an arc that the actor started ten years ago, and Craig is adamant it will have to be a strong script that further develops the character, not just a bankrolling epilogue. Either way, MI6 understands a 25th film will not likely premiere until 2018. The first order of business is for MGM to contract with a distribution partner for new releases after the Sony deal expired with 'SPECTRE'. A decision is not expected until much later this year, and that new (or old) partner will be responsible for much of Bond's production budget. Meanwhile, Craig is taking a well earned break before entering in to rehearsals for his off-Broadway production of 'Othello' later this year.